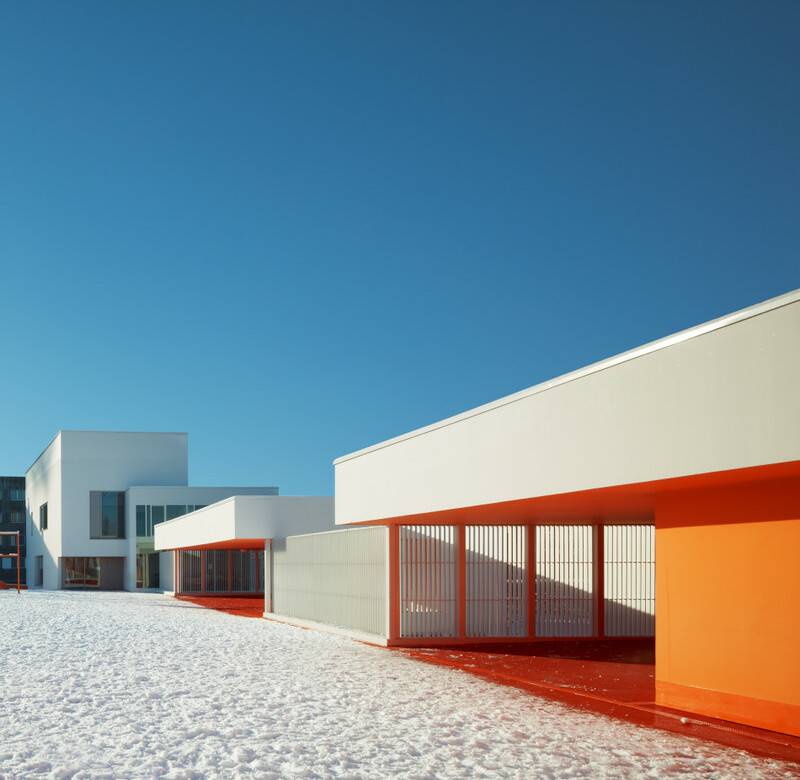 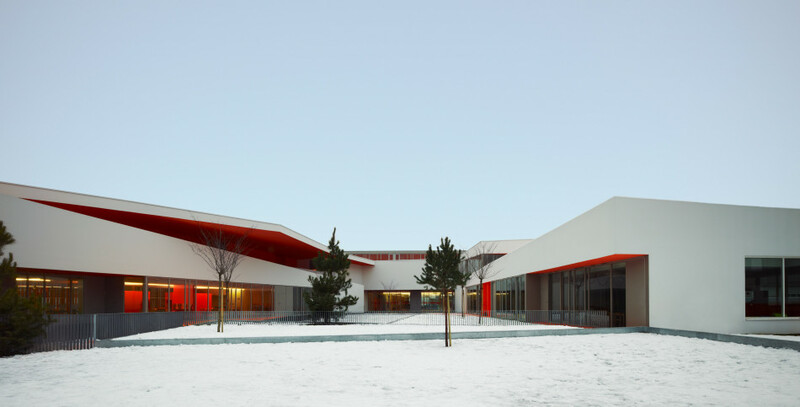 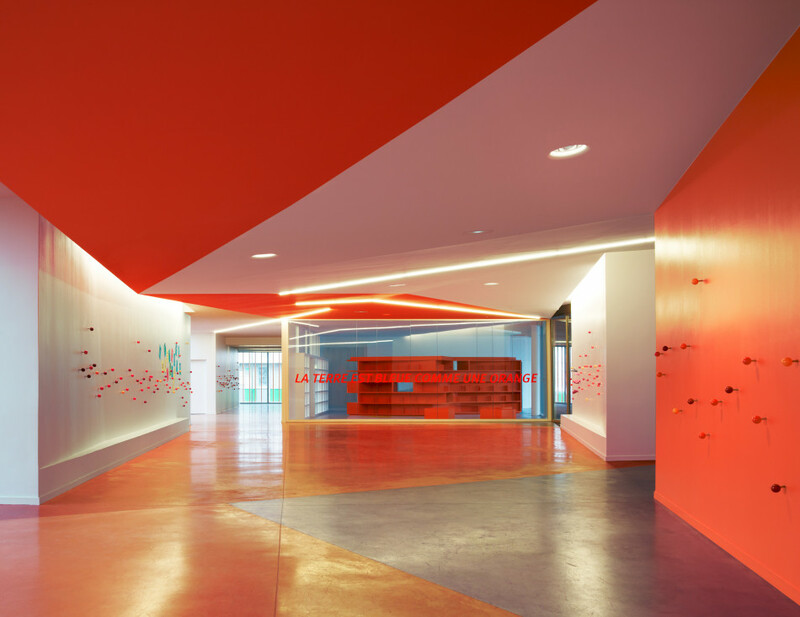 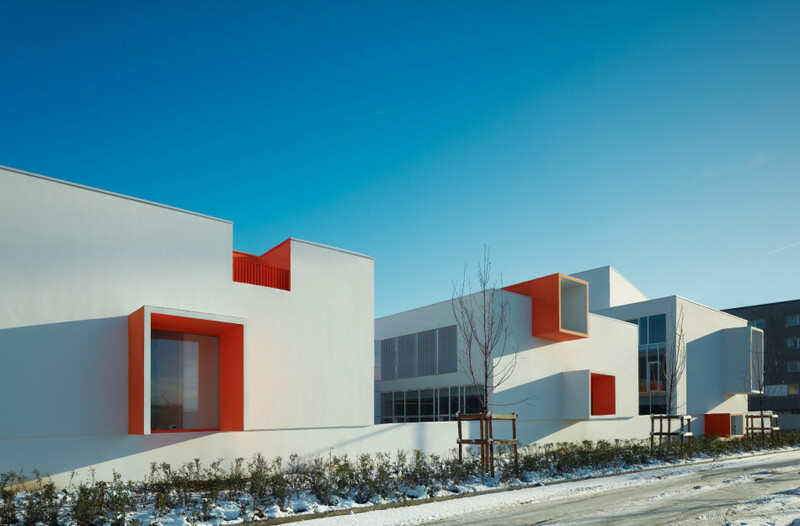 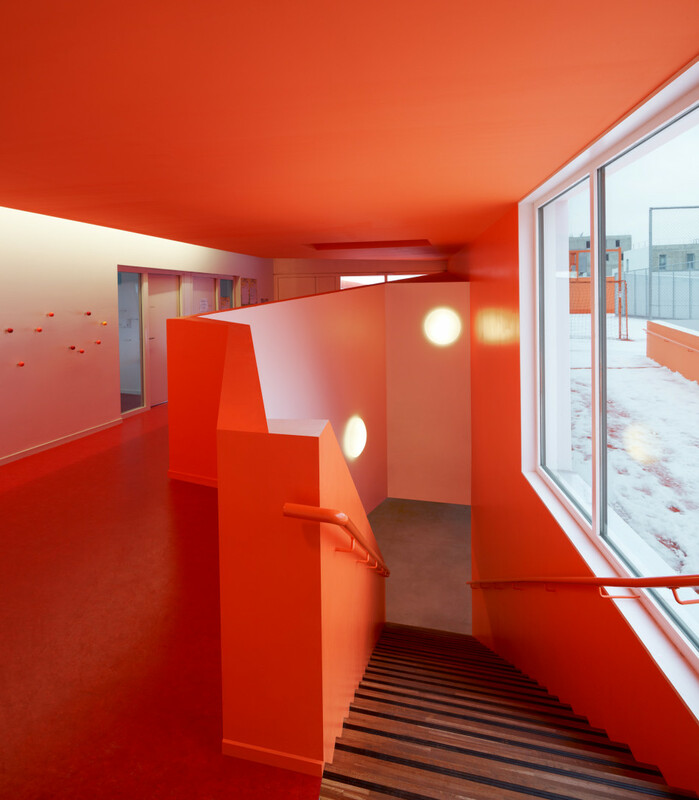 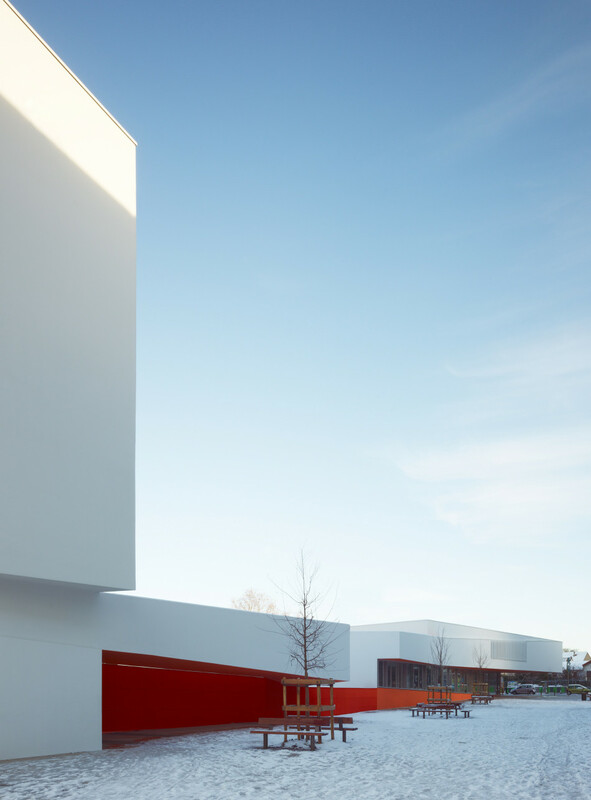 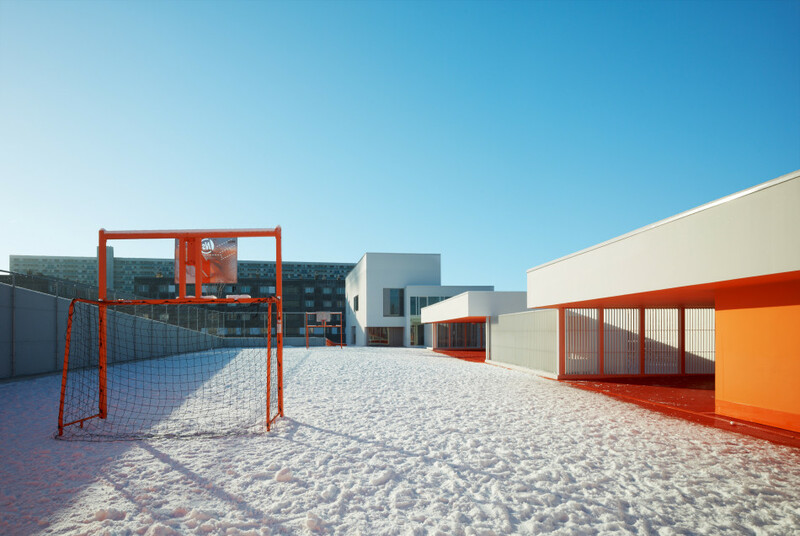 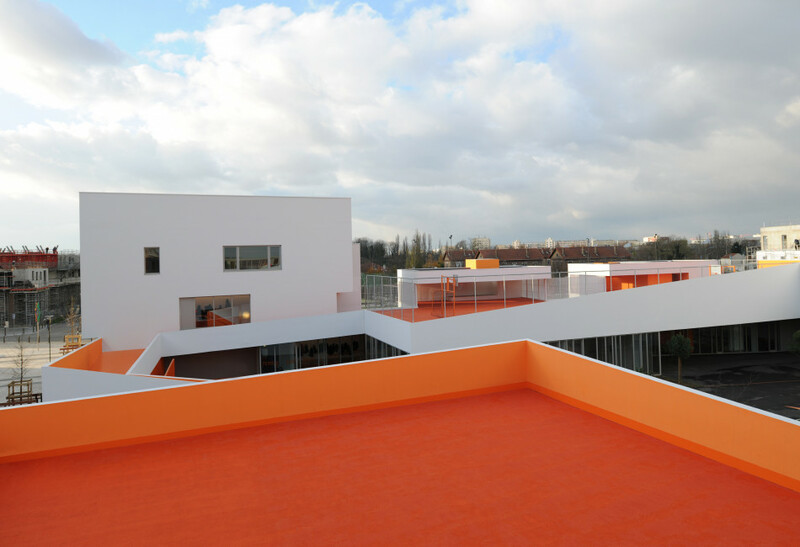 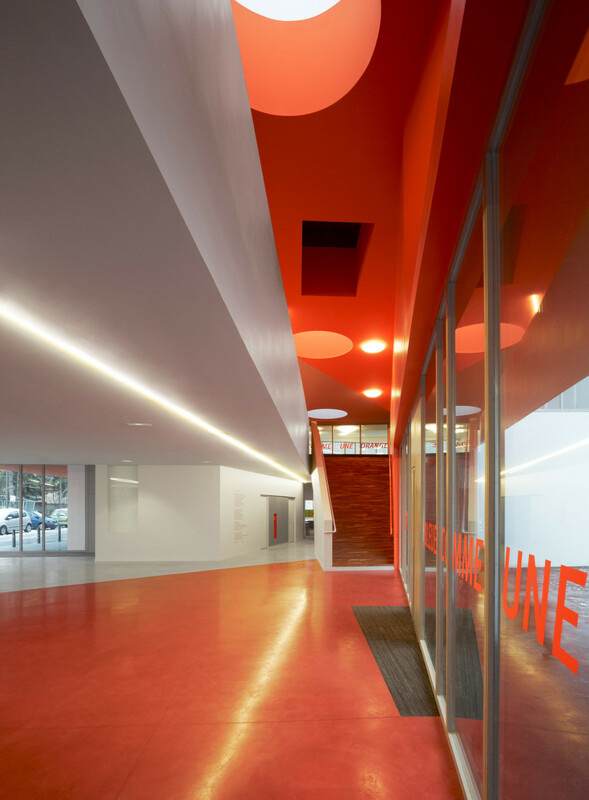 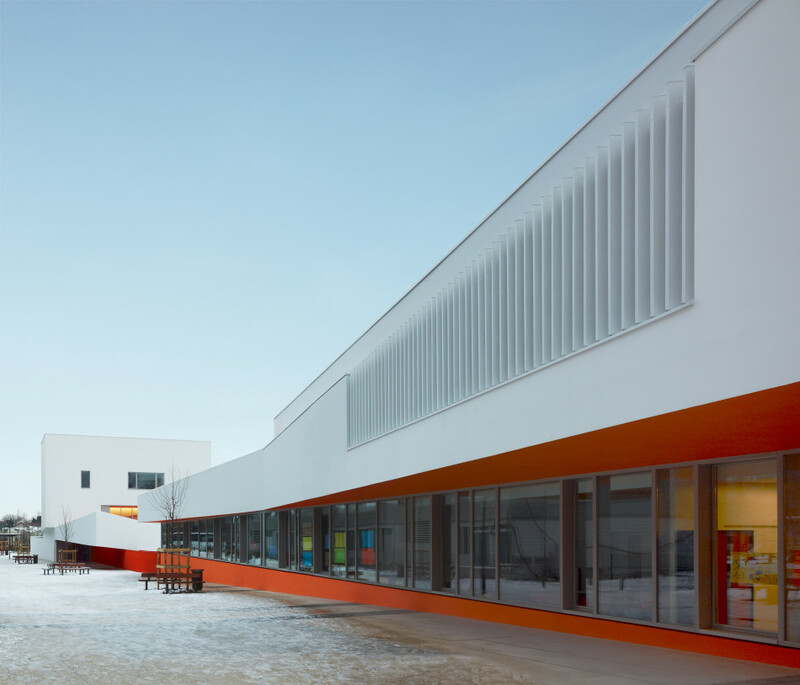 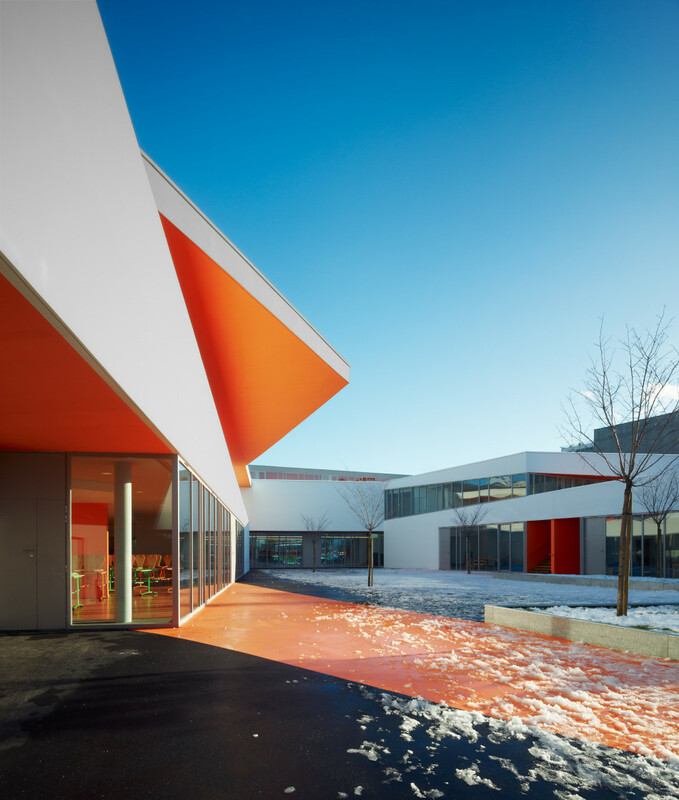 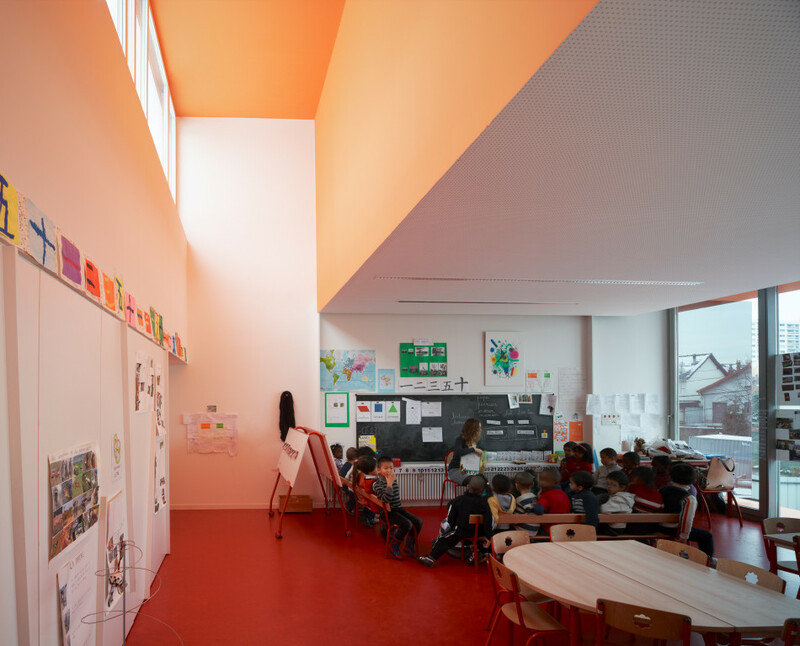 The group of schools is located in the very centre of the ‘Cité des 4000’ housing estate, and is part of an urban renovation programme. 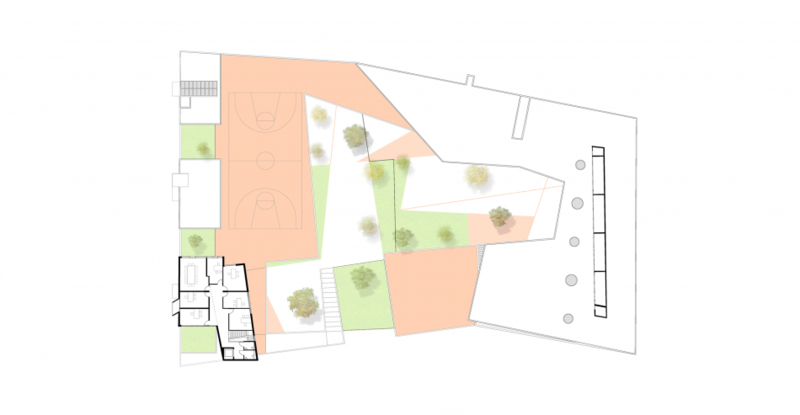 Some of the housing blocks have been demolished and replaced by lower-rise buildings and new public spaces to improve the neighbourhood’s urban quality. 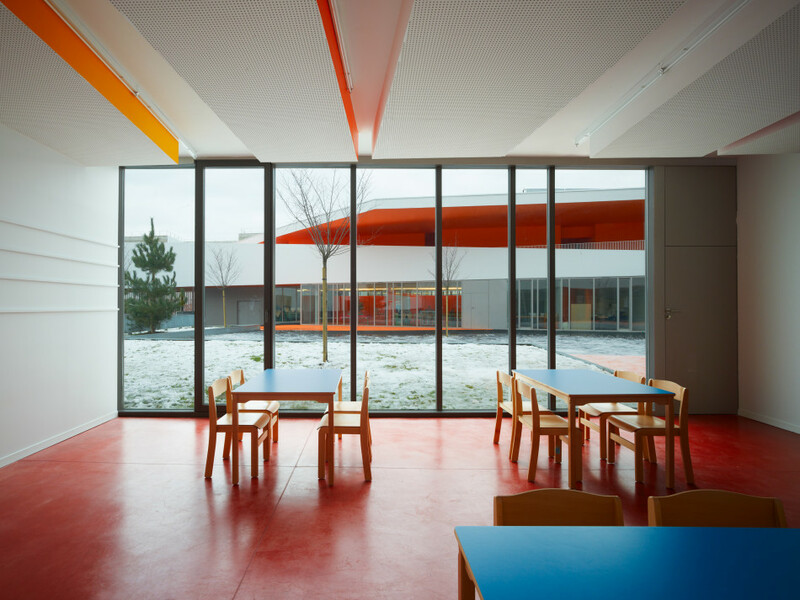 A long housing block, now demolished, used to cross the plot now occupied by the group of schools. 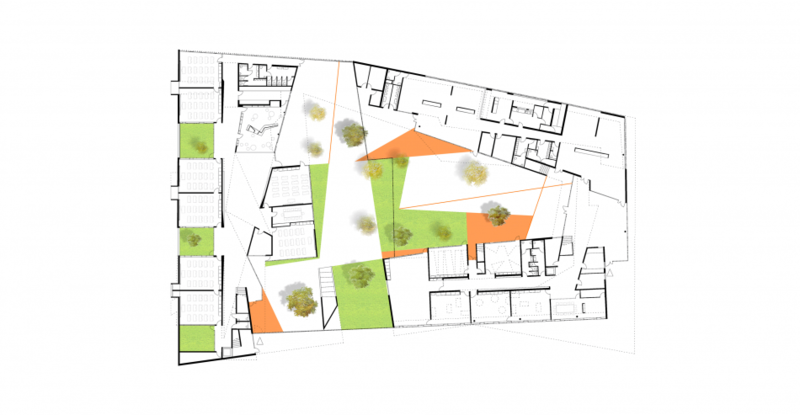 The town planners wanted to keep a trace of the building, and therefore imposed a non-constructible empty area where it used to stand. 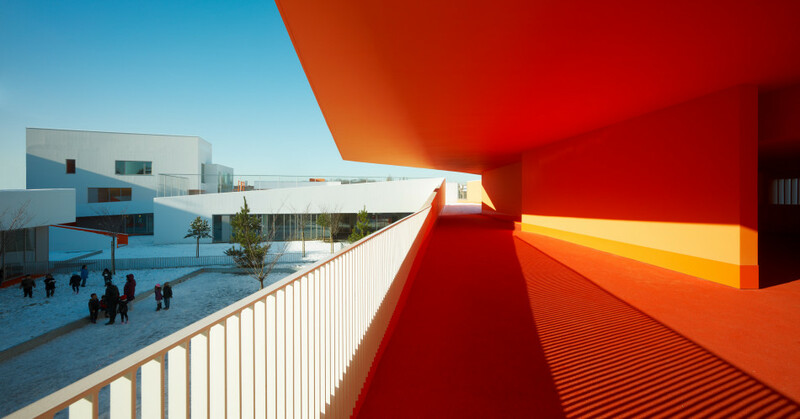 In return, they allowed a great deal of freedom for interpreting the programme. 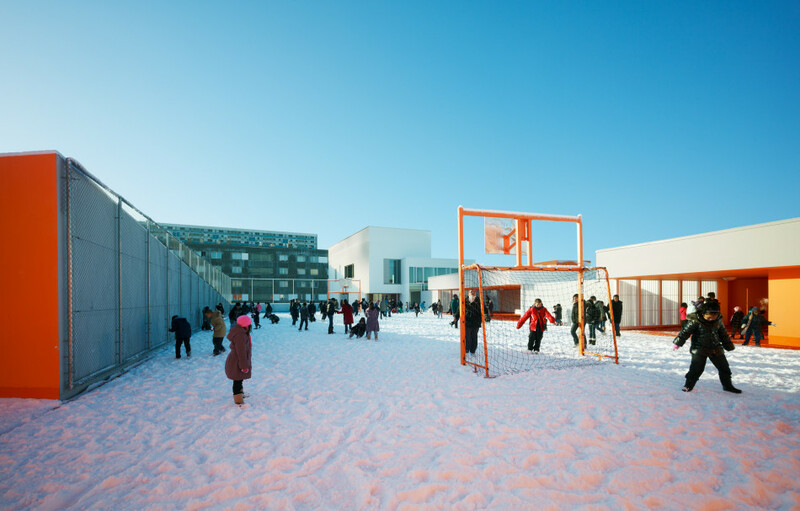 The playground of the primary school is on the roof of the building. 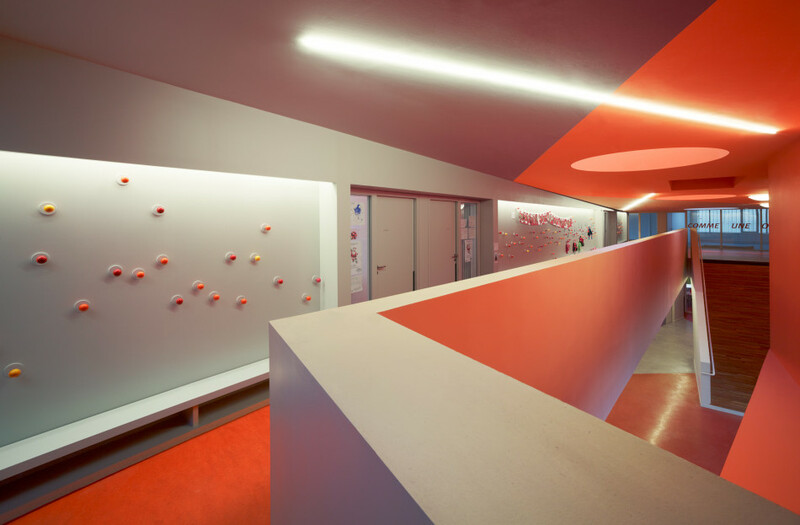 For ease of access, we designed a ramp to take the pupils to the upper floor. 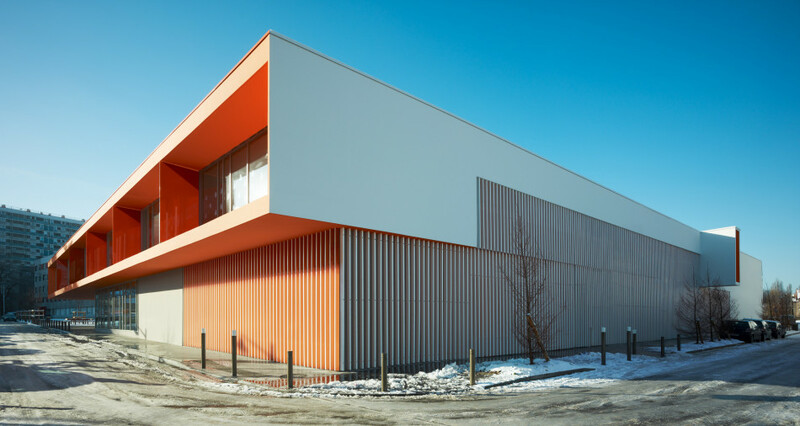 The non-orthonormal geometry of the plot of land made it possible to dislocate the volumes, giving the building a plastic strength: the diagonal lines and planes it develops give it a presence. 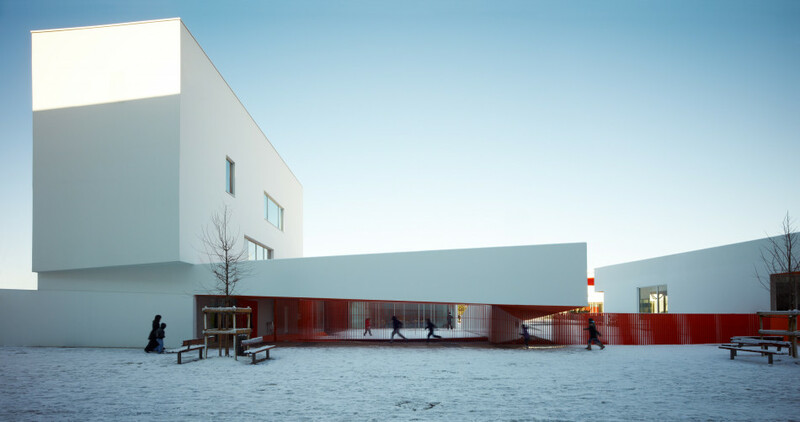 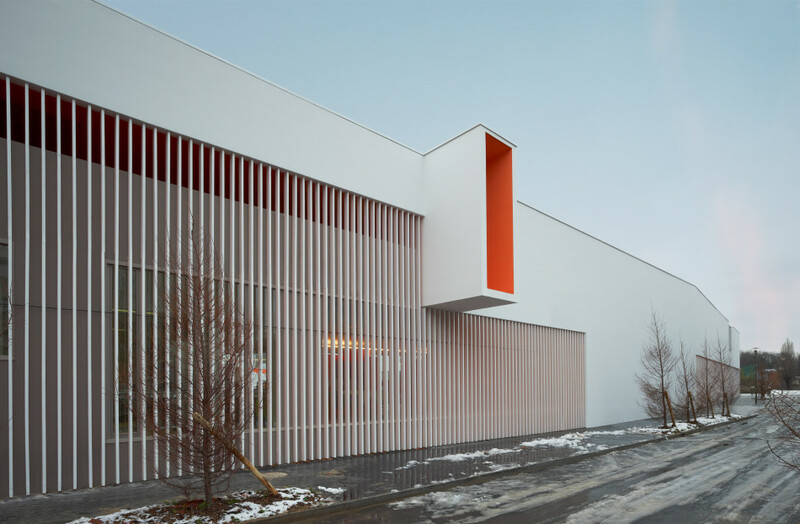 The overhangs and slabs of the play areas give the building an ethereal look. 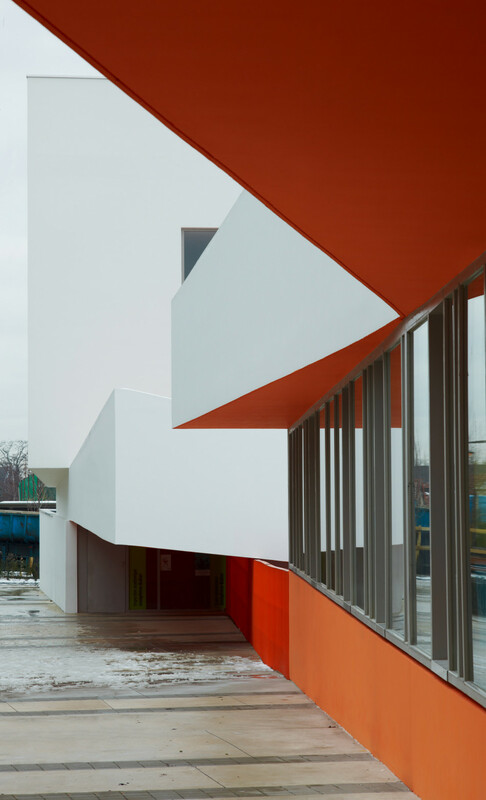 The outlines resulting from the distorted geometry are also to be found in the playgrounds for children at the infant school. 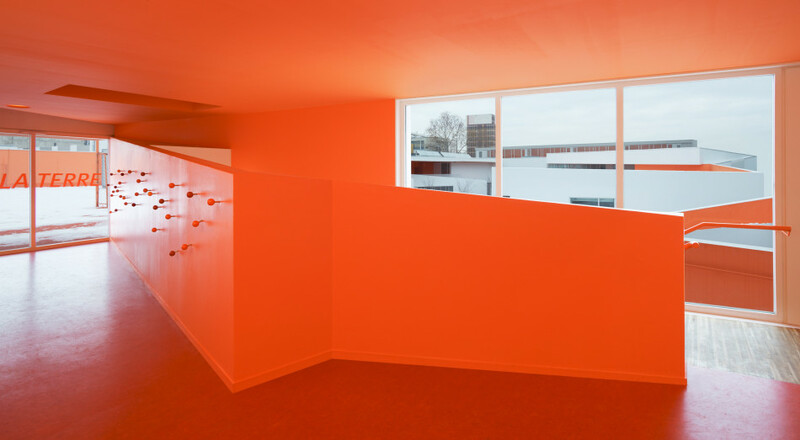 The undersides and floors are orange - a bright orange that is diluted on reflection by the areas of white. 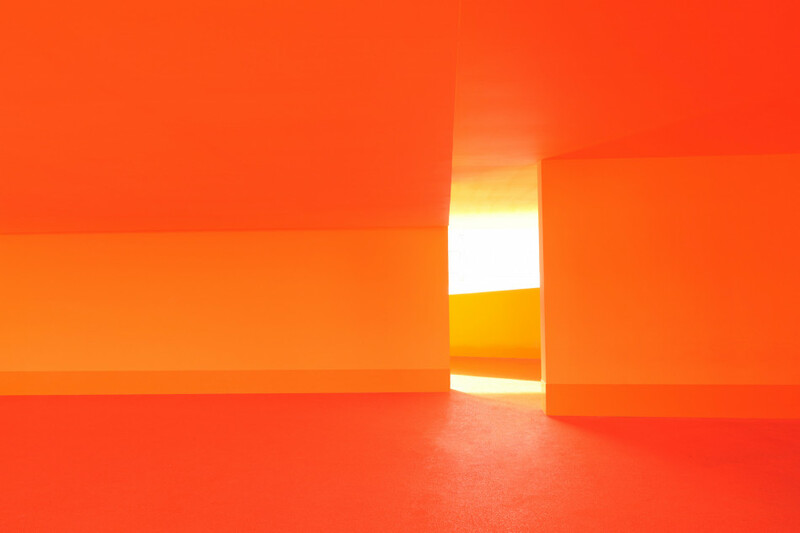 It is in fact the white that changes according to the intensity of the light. 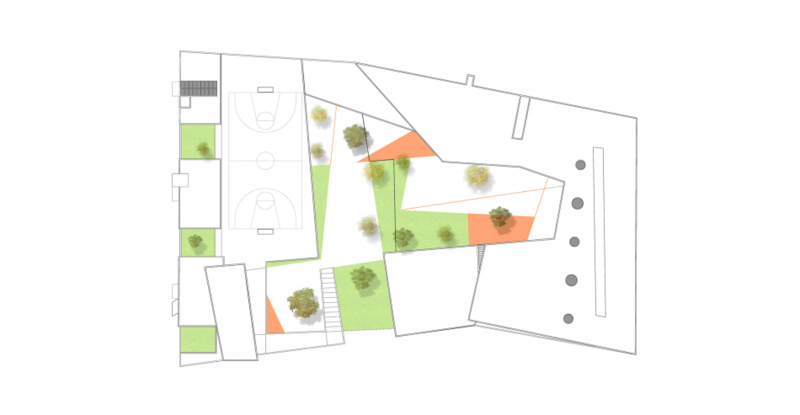 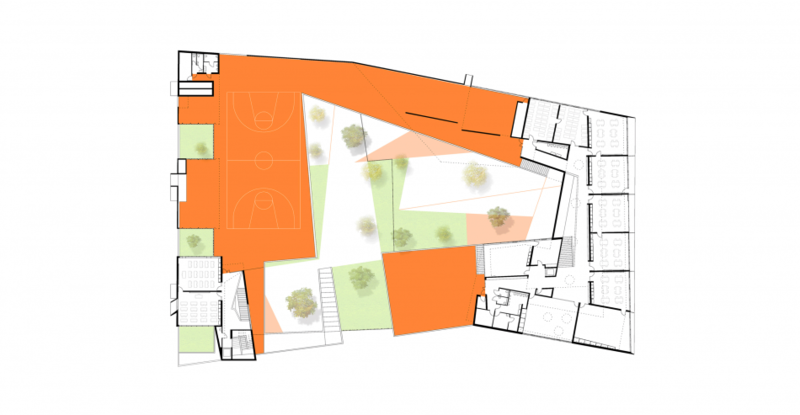 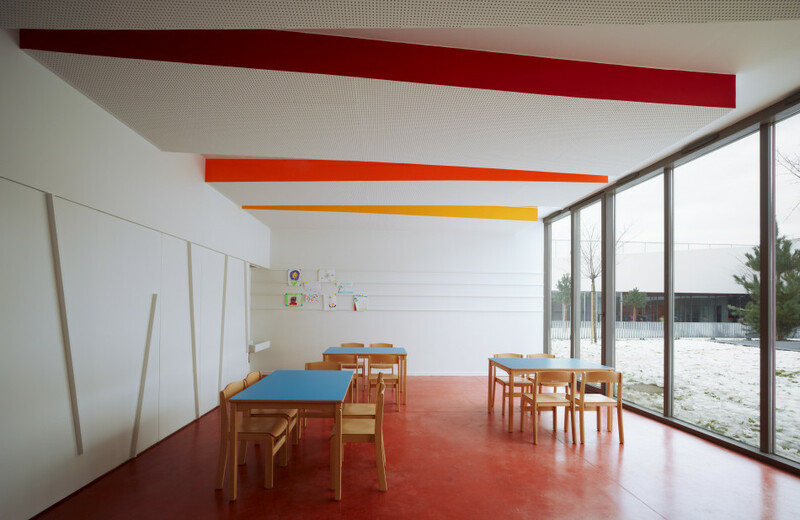 Inside, the traffic routes expand to allow the pupils a smoother flow. 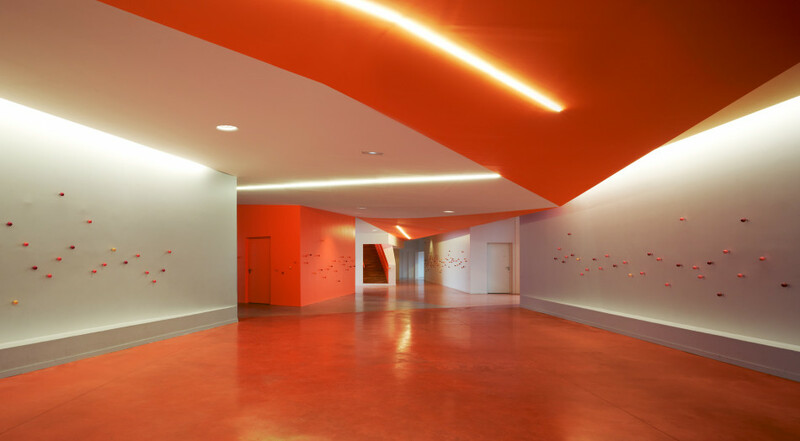 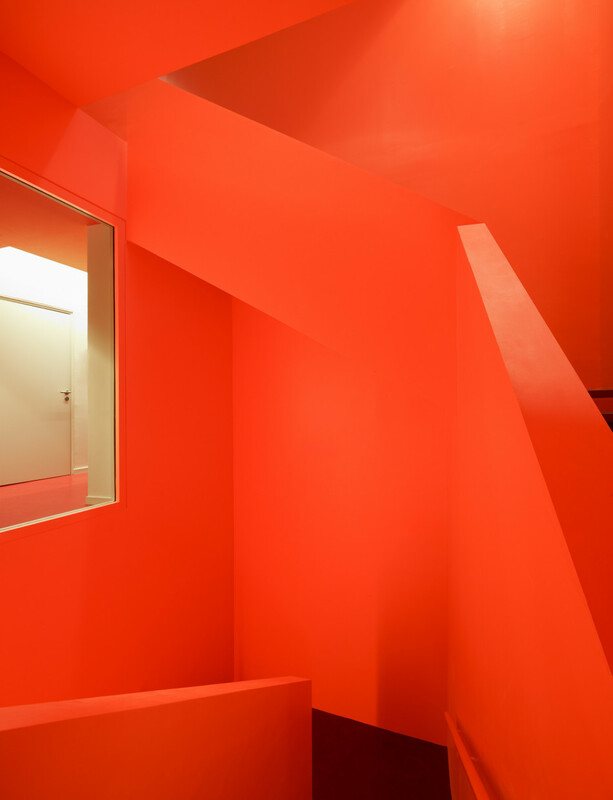 The geometrical distortions are sometimes contradicted by the colour, making the space more playful. 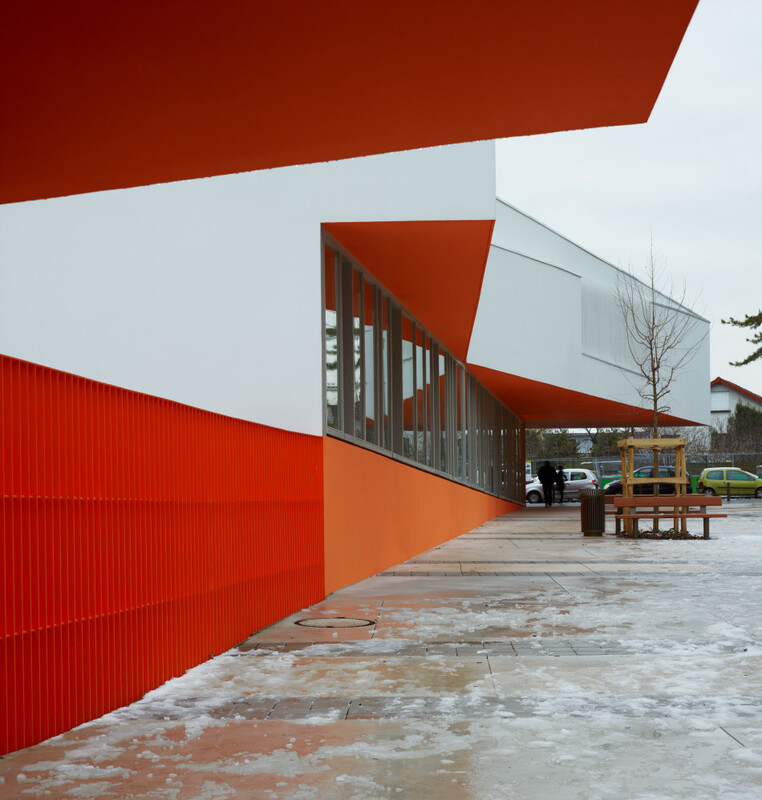 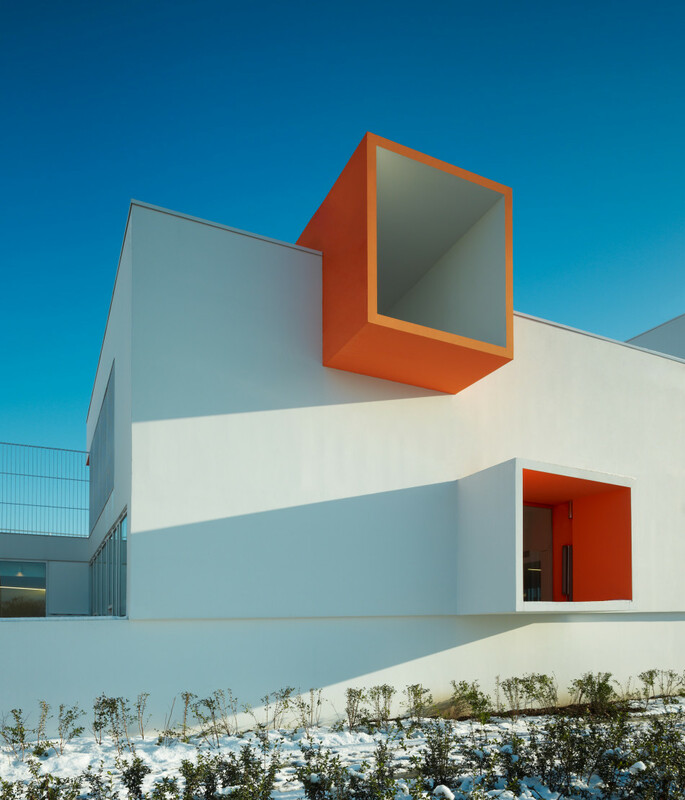 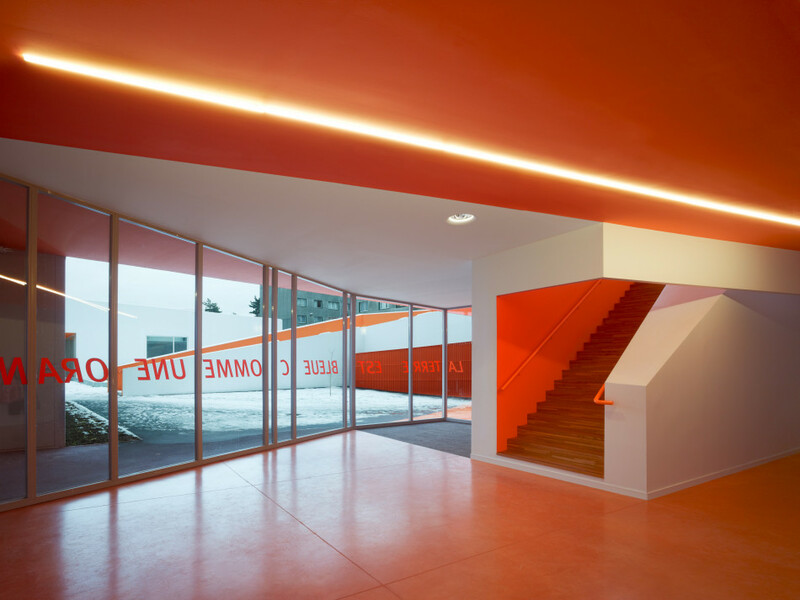 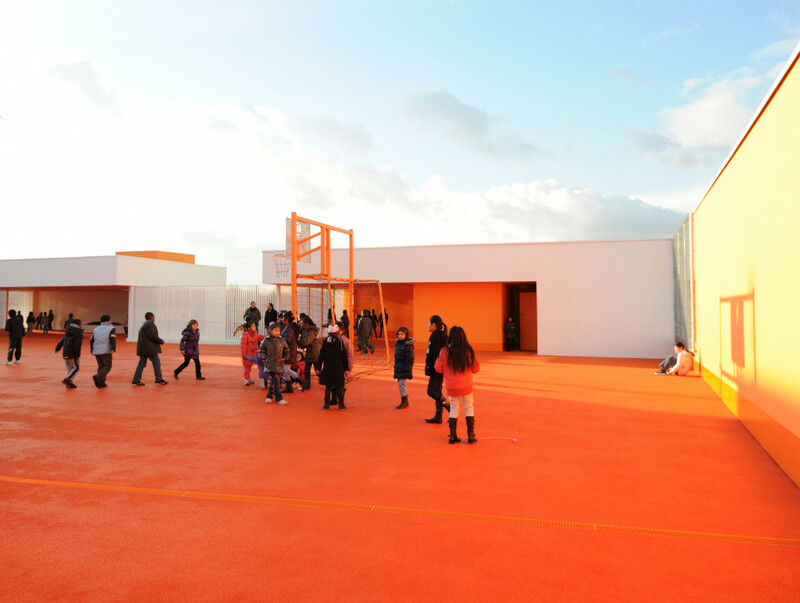 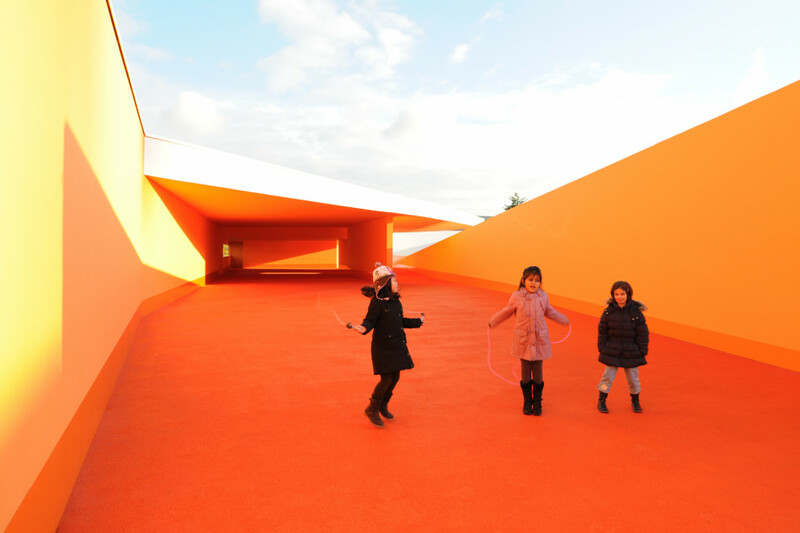 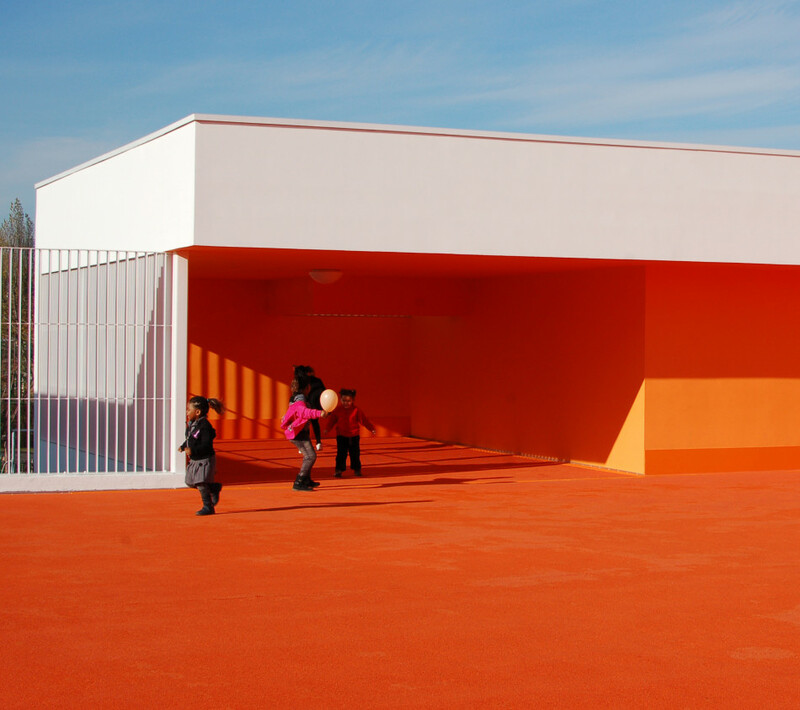 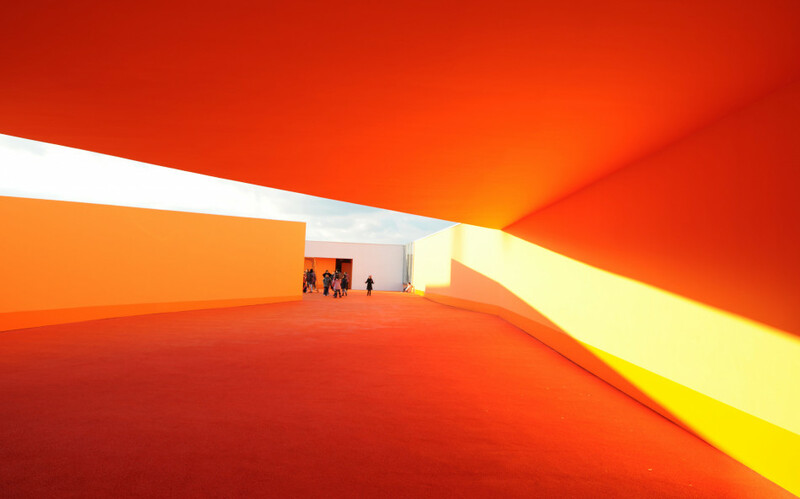 In combination with the grey, the orange colour adds density and a plastic quality to the place. 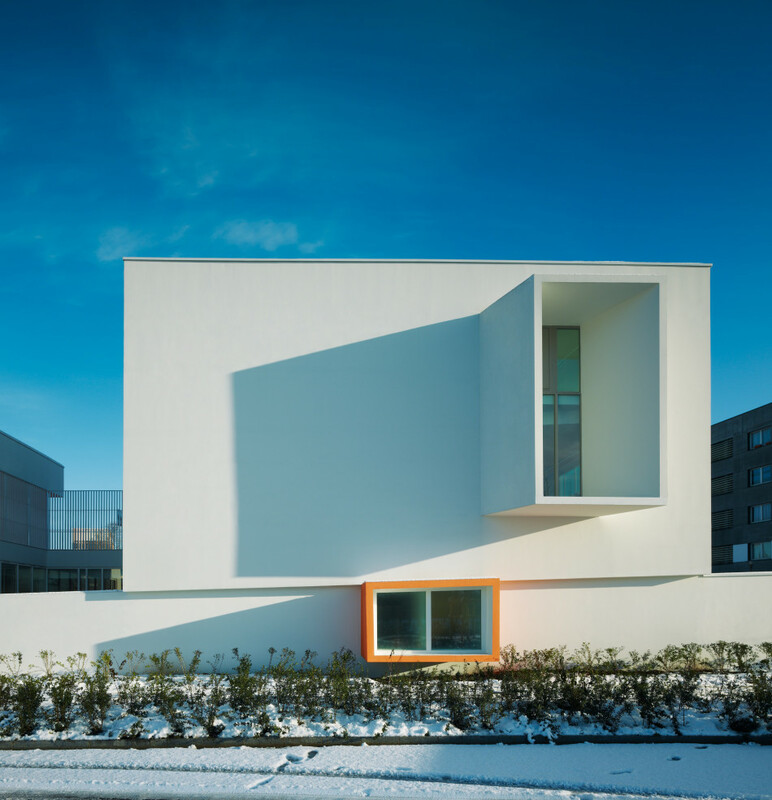 The building stands out from its neighbourhood, liberating itself from the orthogonality of the town’s outlines. 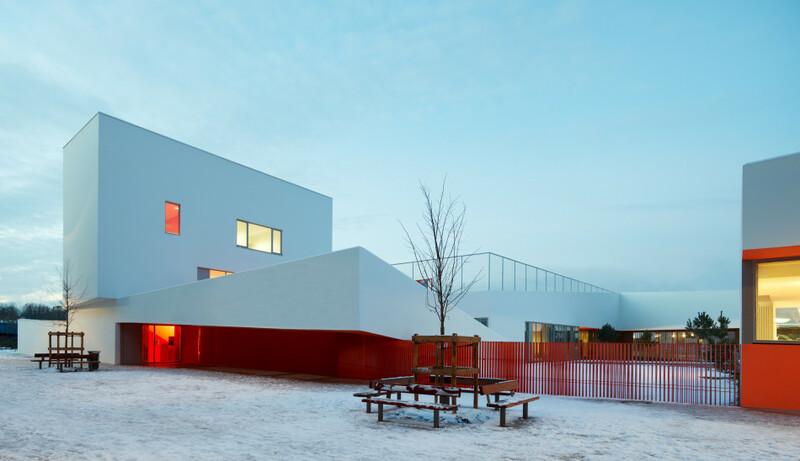 The group of schools affirms its public nature, asserting its spectacular style and generous volumes.